Before making an FOI request to the Water Authority, please check the Document Library and Disclosure Log to see if the information you seek has already been published on this website. A request can be made by submitting the form below. The Water Authority will acknowledge your request within 10 calendar days to the address given and respond to the request as soon as practicable but not later than thirty calendar day after the date of receipt of the request. However, the authority may extend the period of thirty calendar days for a further thirty day period, in any case where there is reasonable cause for such extension. 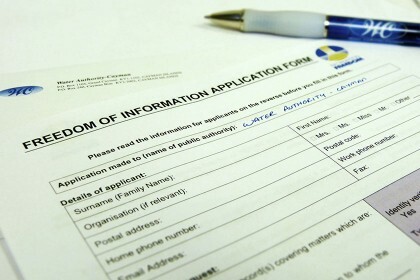 For detailed advice on which information is exempt, please see the FOI Unit website.